For many people, the first weeks of February were a dispiriting time. After the brief cheer of the Supreme Court’s decision, MPs bowed to pressure to accept the referendum as decisive and trooped into the ‘Ayes’ lobby to support the government’s authority to trigger Article 50. Albert Weale has brilliantly explained in this journal why this was a dereliction of the democratic duty of those who opposed Brexit. Evidently MPs saw it differently, but what exactly did they think they were doing? In the absence of a written constitution, we rely on authoritative commentators to tell us what the rules are. Among those commentators, Vernon Bogdanor is currently enjoying ascendancy with his claim that there is a new convention governing the relationship between referendums and Parliament (1). Parliament is sovereign, except over the range of its own powers. If it is considering giving up some of its powers, it should seek a public mandate through a referendum: the 1975 vote on EEC membership and the Scottish referendum in 2014 could be said to be governed by this principle. An instruction from the people to Parliament to take back powers is also binding, and the 2016 referendum gave that instruction. Parliament should have its say, but, Bogdanor suggests, what it should say is governed by the referendum result, and MPs know this. Why should a referendum have this authority? One familiar argument is that representatives should act as delegates when there is a clear expression of voters’ preferences, which a referendum provides. A referendum is a vote on just one issue at a time, whereas a general election cannot give a clear verdict on any single issue. But the claim that the referendum result is a clear verdict is easily rebutted. For referendums to produce clear expressions of preferences, they would need to be designed carefully. Very often, a two stage procedure is required. For Brexit, a first vote could determine whether to start negotiations while a second would test the outcome of negotiations against the status quo. There are various practical objections to this process, but it seems to be the only way to ensure that referendums provide clear expressions of preferences. Bogdanor recognises these issues, and he does not offer a general defence of policy-making by referendum. Rather, he proposes that there are some decisions so fundamental that Parliament cannot legitimately decide them: specifically, decisions to transfer powers to and from Parliament, either upwards to the EU or downwards to the devolved governments. It follows that referendums bind Parliament when they are votes on the constitutional order, as Parliament operates within the constitutional order. But the ambiguity of the referendum result damages this argument irreparably. Somehow, the result had to be invested with meaning, beyond ‘Brexit means Brexit’. At this point, the role of Parliament became its normal everyday role of rubber-stamping executive authority. 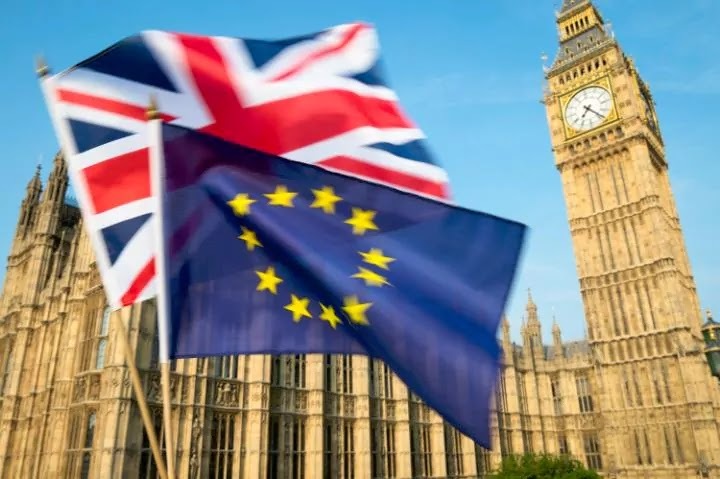 In passing the European Union (Notification of Withdrawal) Bill unamended, the House of Commons bowed not to the will of the people but to the authority of the government to promote a particular approach to implementing the outcome of the referendum. The government has apparently decided on a ‘hard Brexit’. There is surely a majority in the House for a softer version, but MPs proved incapable of organising themselves to set the agenda and vote for that. The vote was not a temporary suspension of parliament’s authority in the face of a popular mandate, as Bogdanor has argued. Rather, it was the result of the same old political behaviour that has weakened Parliament for decades. MPs went along with party positions: they did not vote with the views of their constituents; nor did they vote in accordance with their own beliefs about the best policy for the country. It was business as usual, except that Labour failed to perform the role of official opposition. We don’t know exactly why, but it seems likely that the leadership of the party took a position that was based on an assessment of the views of those who it sees as the party’s core voters, particularly in the North. That assessment has been challenged by John Curtice, who has shown that a clear majority of Labour voters supported Remain, not only in the South but also in the North (2). Just because a majority in a Labour-held seat supported Leave, it does not follow that a majority of Labour voters in that seat were Leavers. Curtice’s analysis has in turn been challenged by Ian Warren (3), who has argued that the voters who abandoned the party in 2010 and 2015 were mainly Leavers, so Labour has to pitch to Leave to get them back. Perhaps, but perhaps Labour should think about better representing its faithful Remain voters. It could even adopt a position of principle that does not succumb to the cries of the tabloid press, but that might be too much to ask. This leaves the puzzle of why the government is apparently intent on propelling the UK towards the hardest form of Brexit, and why Conservative Remain MPs have allowed this. The most charitable interpretation is that the government’s position is a bargaining strategy. To have any hope of getting other EU members to agree to a special relationship, the UK has to make it appear credible that it will walk away without an agreement. This, incidentally, makes it vital that Parliament is not allowed to vote on the final deal or non-deal, as it would surely reject a non-deal, and EU partners know this. Whether the bargaining strategy will work or not, we will find out, but there is an uneasy sense that the UK is playing chicken with a juggernaut. It will be very difficult for the other twenty-seven to find the flexibility that the UK demands. The constitutional issue that this raises concerns the government’s power to negotiate on behalf of the UK without parliamentary constraints. The judgments in the Miller case clarify this power. Even while the judges determinedly stated and restated the principles of parliamentary sovereignty, they all agreed on the existence of executive prerogative in the area of international relations. Prerogative powers, as the majority judgment puts it, relate to ‘important areas of governmental activity which .. are essential to the effective operation of the state’, including foreign affairs: diplomatic relations, the deployment of armed forces abroad, and the making of treaties. The judgments in Miller turned on the question of whether this prerogative power could be invoked to end the UK’s membership of the EU. The majority held that the government could not invoke its authority over foreign affairs in dealing with the EU, as EU law has become part of domestic law. To treat EU membership as a matter of prerogative would be to assert prerogative powers to change domestic law, and that is untenable. Parliament makes the law, not the executive. But here the legal position comes up against the realpolitik of negotiation, and it is surely this that meant there was no rebellion on the Conservative side, with the lonely exception of Ken Clarke. Conservative MPs with Remain constituencies followed the logic of power that has served their party well for a century: their government is leaving the EU and their task is to ensure that it has the bargaining power to do so on the best possible terms. The real fallacy of Bogdanor’s argument is the implied claim that leaving the EU will restore the powers of the national parliament. Parliamentary sovereignty was a fiction before Britain joined the EU, and leaving will not change that. The national sovereignty that is being reclaimed by Brexit is not parliamentary sovereignty: it is executive authority. The vote was not about parliamentary power, but about the balance of power between a judiciary that is part of a supranational legal order on one hand, and the executive (and the legislature it dominates) on the other. The primary impact of leaving the EU will be to reduce the authority of the judiciary and and increase that of the executive. The judges in the Miller case found that EU law is part of domestic law. This has important practical effects. A remarkable achievement of the EU is that it has replaced diplomacy and executive discretion in international relations with a system based on law. While this legal system is integrated by the supremacy of the Court of Justice in Luxembourg, it is first and foremost a system based in domestic law, routinely accessible to businesses and citizens. The effect is that a UK-based business which finds itself excluded from trading or operating in another state can challenge the regulatory authority that is obstructing it in the courts of that state. The British government need not get involved; indeed, very often the higher echelons of government in the other state do not get involved either. They can leave the question to the relevant regulatory body, which wins some cases and loses others in its dealings with its own business community and citizens, and has the same relationship with those based abroad (provided they are in the EU). In its Brexit plans, the government has been forthright in its determination to leave this system. Bringing an end to the jurisdiction of the Court of Justice is the main subject of chapter 2 of the Brexit White Paper, ahead of controlling immigration (ch 5) and ensuring free trade (ch 8). In future, aggrieved citizens will have to turn to their consulates. Businesses that find their market access blocked by a regulatory agency will have to ask the UK government to take up their case, instead of being able to seek the protection of EU law in the courts of the country that has blocked them. I remarked above that a charitable interpretation of the government’s strategy is that it is trying to secure a strong negotiating position. A less charitable interpretation is that senior members of the present government fundamentally reject an international system based on law. They prefer bargaining and diplomacy to the settlement of disputes by independent authorities. One explanation of this preference is that judicial settlement of international disputes has a tendency to spill over into areas of domestic law which have no apparent cross-border aspect. Indeed, it is arguable that the Court of Justice has done little to prevent this spillover, as it has over time given up the self-restraint that confined its decisions to matters with cross-border effects. Still, the hostility of the present government to judicial authority is striking. Courts are, apparently, all tarred with the brush of progressive liberalism. The Court of Justice has blotted its copybook with the British government with decisions upholding the rights of EU migrants to receive social security benefits. This is small beer financially and economically, compared with, say, the same Court’s decision that the City of London must have non-discriminatory access to the euro derivatives market, but the government seems unable to weigh up the gains and losses in a rational way. Brexit will mean the replacement of law by diplomacy in economic relationships with the EU. Diplomacy is an area of prerogative power; leaving the EU will enlarge the domain of this power. We will not see international relations widely discussed and debated in Parliament: it is an area where secrecy prevails. The Supreme Court did its best to allow Parliament to have a say on Brexit, unequivocally rejecting the claim that the referendum result could be put into effect directly. Parliament’s capitulation shows us how referendums really work, and the distance from Bogdanor’s account is large. Referendums permit the expression of a general ‘will of the people’, but the people’s will is susceptible to interpretation, and it is the political executive that has seized the power to interpret. Parliamentary democracy and the rule of law are squeezed between the general will and the strategic executive, between the moment (but only a moment) of democratic expression and the long-drawn-out process of closed door negotiations. (1) Vernon Bogdanor ‘After the Referendum the People and not Parliament are Sovereign’ Financial Times, 9 December 2016.